Bought round ticket from Singapore to ChangSha China on 4th June, 2018, the flight date is 8th June 2018. 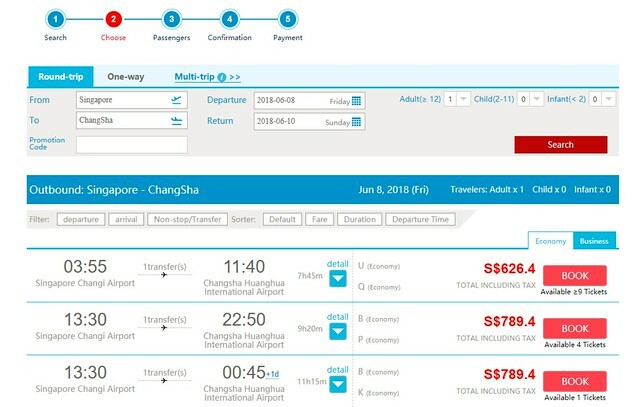 As it is too close to the flying date, the price was higher than the lower average price, it cost me RMB 3,117, by using the Citibank credit card, it was $ 669.63 converted to Singapore dollar. The exchange rate was bad: 3117/669.63 = 4.65, and I think the bank and Visa may earn profit from the exchange rate. I should buy the ticket by using the China Southern Airline English website, and choose the location as Singapore. The same ticket shows S$626.4, I found out this after I completed the payment. 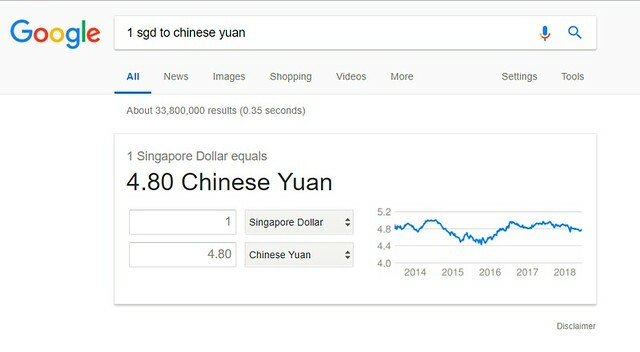 I think now Singapore to Chinese Yuan exchange rate is below 5, you may save money by using Singapore dollar as payment currency, last time when the exchange rate was higher than 5, it was more cheaper to pay by Chinese Yuan.